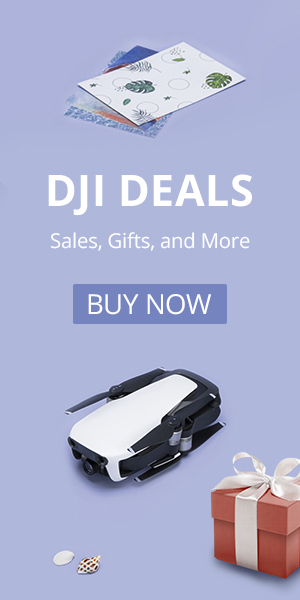 The EDrone Black Knight Cube drone is one of the most unique quadcopters we have tested. When folded up it looks like a solid black Rubix cube. When unfolded it looks like some kind of UFO. It features an HD camera and altitude hold for added stability. It is a pretty good deal starting at $47.99 and you can save another $3 if you order from TomTop with the code: HTY3CP. Is it a gimmick, or is it worth a look? Let’s find out. Take a look at the Cube in its ready-to-fly state. First, we have to talk about the design of this quad. When it isn’t in flight it literally folds up into a cube shape. It uses magnets to keep the boxed arms down when not in flight and little levers to hold them open when flying. Obviously, it isn’t the most aerodynamic shape and looks like some odd abstract sculpture when open and in flight. The camera is placed at the bottom of one of the feet and is a decent 2MP 720p camera. It is most certainly unique. You’ll see the yellow on button on the top of the cube drone. 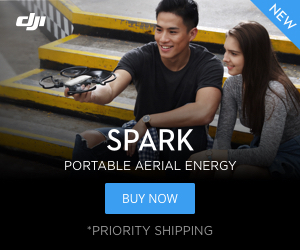 In many ways, it is a typical toy grade quadcopter. It has brushed motors that give it a rough flight time of about 6 minutes. You can expect a range of about 30 meters or so. The Cube can be flown with the included remote or using your smartphone. The included remote has a nice layout and will give you much better control and range than flying with a smartphone. It also will stream live video to your smartphone using a WiFi connection. Take a look at the Cube from above. The Cube features altitude hold which helps with stability. It also has high and low speeds and can do flips with the push of a button. There is also headless mode and one key return. However, the one key return like most GPS-less drones is unreliable and not something we would recommend. The camera on the Cube is a decent 2MP camera. It will take decent pictures outdoors and in good lighting. You’ll have to fly slow and steady to capture good video as there isn’t any stabilization software on this quadcopter. It takes much better pictures than the typical 0.3MP quad, but don’t expect DJI quality or even anything close to most cellphone cameras. Take a look at the camera in the bottom of the EDrone Cube. Should You Get a Black Knight Cube? The remote control has a nice gamepad style for the EDrone Cube. You’ll get everything you see here when you order your EDrone Black Knight Cube.